Women of the Wall demands right to pray undisturbed at Western Wall against established customs of holy site. The Women of the Wall filed a petition with Israel’s Supreme Court, demanding the right to pray undisturbed at the Western Wall in Jerusalem. The petition, filed Tuesday against the Israel Police, the Western Wall Heritage Foundation, and the Western Wall Rabbi Shmuel Rabinovitz, also asked the court to order the police to ensure that the women are safe from physical and verbal violence while praying at the holy site. The petition requested a temporary injunction requiring the respondents to explain their failure to ensure the legal rights of the Women of the Wall to pray in the women’s section of the site without disturbance, according to a statement from the organization. It also demands an explanation for the respondents’ failure to implement necessary measures to halt those that regularly attempt to disrupt their prayer services with physical and verbal violence. Many Orthodox worshipers, including women who come to pray at the Western Wall, have complained for years that the loud readings conducted by the Women of the Wall disturb their prayers. Many Orthodox men and women refer to the group as the "Women of Provocations." 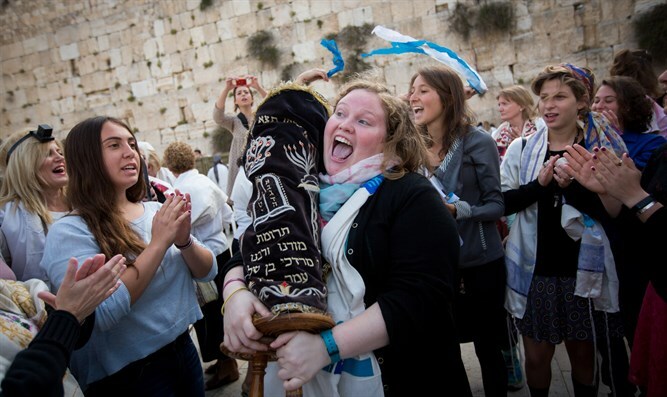 In January, the Supreme Court ruled in favor of women being allowed to read from the Torah in the women’s section at the Western Wall and declared that an egalitarian prayer area set aside at nearby Robinson’s Arch does not constitute access to the holy site. The January ruling was in response to a petition by the Original Women of the Wall, a break off of the Women of the Wall group, who want to pray in the women’s section and reject a compromise, still to be implemented, that would expand an alternative prayer space at Robinson’s Arch.